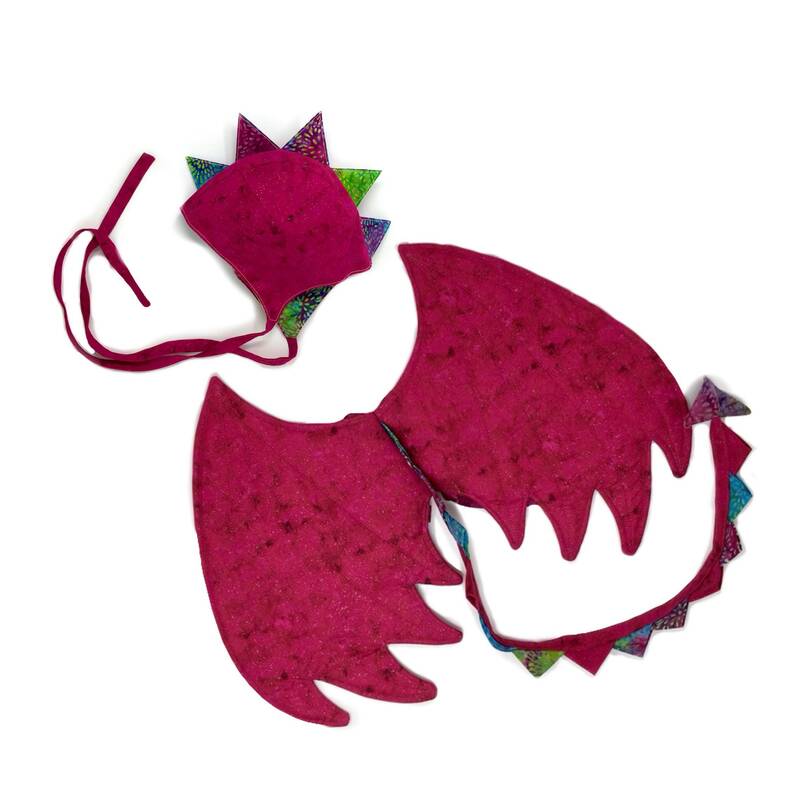 Heirloom quality magenta sparkle dragon wings with a tail for pretend play, kids costumes, dress up, make-believe, imaginary play, or toddler costume. 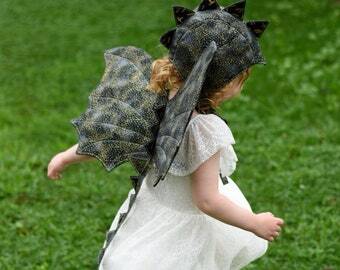 Add a dragon bonnet for the perfect Halloween costume! These wings are made to order. Please allow about 1-2 weeks for your order to ship. 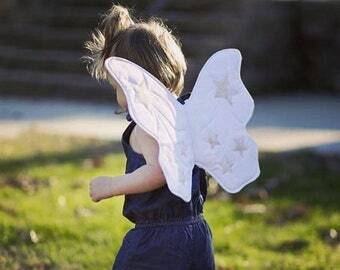 High quality cotton fabric with multiple layers of internal filling to help wings keep their shape while staying soft and safe for all kinds of play. There is no wire in any of our wings. 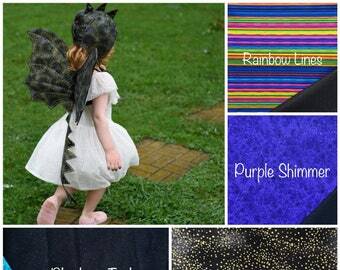 The ADJUSTABLE elastic arm straps are should fit kids from toddler to pre-teen, depending on size. Really well made and great design!